Sri Lanka can expect large-scale investments across various sectors next year and around 50 investment projects will come Sri Lanka’s in January, Finance Minister Ravi Karunanayake said. The Minister also emphasised that foreign direct investments are coming for a specific objective and the government has quantified real foreign direct investments and the country will see a huge increase in foreign investments in the coming months. He also pointed out that government has been able to create an enabling environment to attract more FDIs into the country since coming into power. He pointed out that the previous regime brought loans into public investment as FDIs. “They built the expressway and treat it as a FDI, which is wrong.”Sri Lanka is a small leaf caught in a Tsunami, he said adding that the biggest challenge the country faced was the debt trap which made the country unaffordable to bring any return on its development. 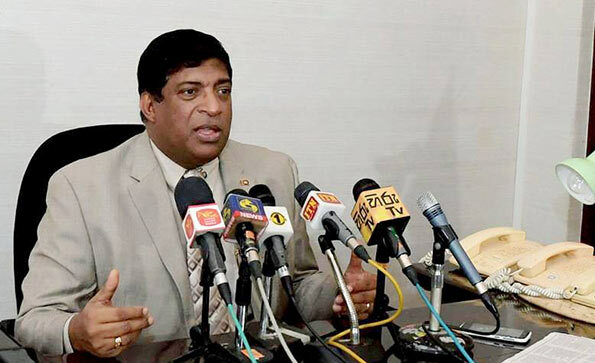 The Minister previously noted that the Mattala Airport, SriLankan Airlines and the Hambanthota Investment Zone will have Public Private Partnership Investments (PPP) without selling off or privatising any assets of the nation. He also alleged that land at the Army Headquarters at Galle Face and a land at Hambanthota had been given as a freehold to a foreign company to construct a hotel complex by the previous government. We, citizens of Sri Lanka, Gen X, Gen Y and Gen Z, want renewable sources of energy (Solar Power). We are willing to pay for it. Renewable sources will give us life, give us hope and give us sustenance and free us from Arab terrorism. Engr Perera, people of your generation do not have much long to go; you people sucked this earth of all the resources and screwed future generations without any considerations, whatsoever. Engnr Perera, thanks for your dumb wisdom; actually, it is time for you to go. So is the time for dud professors in Peradeniya Engineering to go. Perera, it is a new world; a world of promise and hope. With new leaders such as Putin and Trump, we will ensure fairness and equality.